Relax, Get Away, Enjoy Yourself! 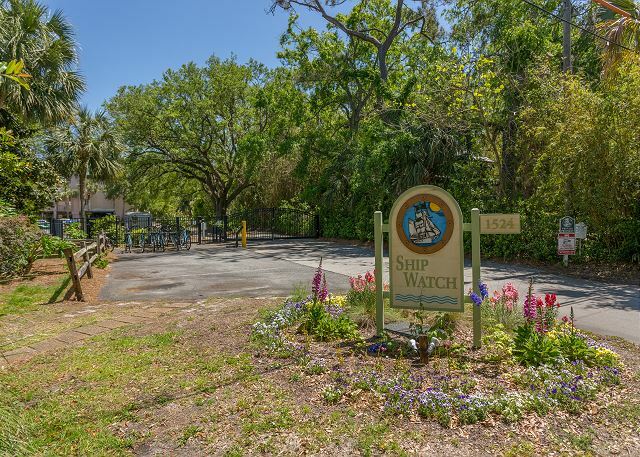 Shipwatch condominiums have long been an island favorite for family vacations, weekend getaways or a multiple month escapes from northern winters. Each residence includes two bedrooms, two full baths, a living room, dining area, a well-equipped kitchen, and a private balcony. 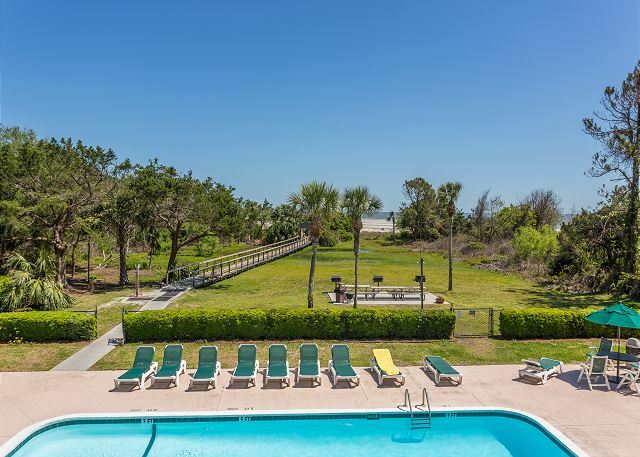 A short stroll past the pool and down the boardwalk places you on a beautiful stretch of beach perfect for sunbathing, walking, or simply enjoying. 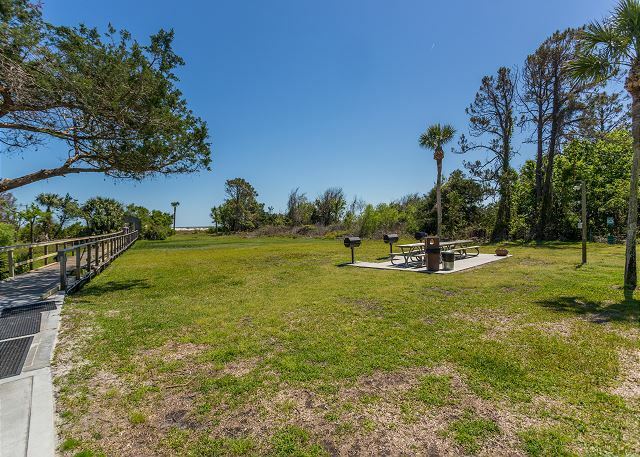 Other community amenities include a volleyball court and grilling area. 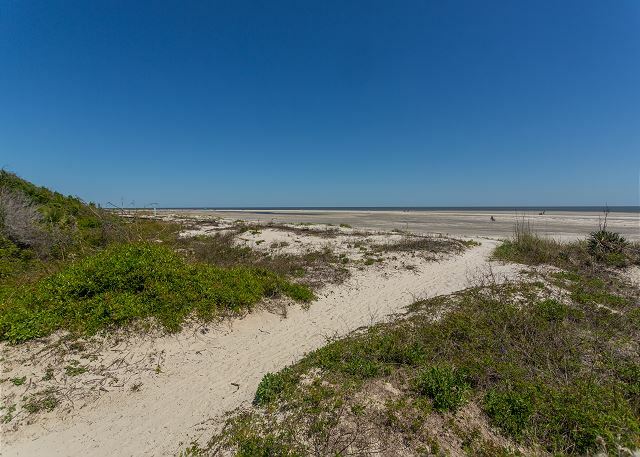 •	On the best beach area of the best of Georgia's Golden Isles. •	Sleeps 6 with sleeper sofa. •	New high quality bedding, towels, linens. •	Partial Ocean View from deck. •	Late model Entertainment Center: DVD / VCR / CD Stereo. •	Cable TV / 2 new televisions. •	Huge paperback book collection for leisure reading. •	Fully furnished, fully appointed kitchen. •	DVD & Video collection. 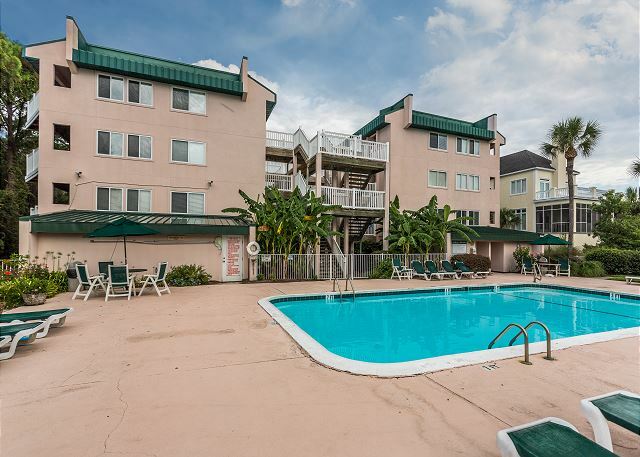 The location of this property is steps from the beach and a 15 minute walk to Pier Town, the pool is well maintained, and the property managers were good to deal with. However, as a second floor unit their was an ongoing problem with footsteps above at all hours of the night no matter who was in the unit above. The owner has added their personal touches to the extreme. The first thing we had to do before unpacking our things was to relocate the clutter. 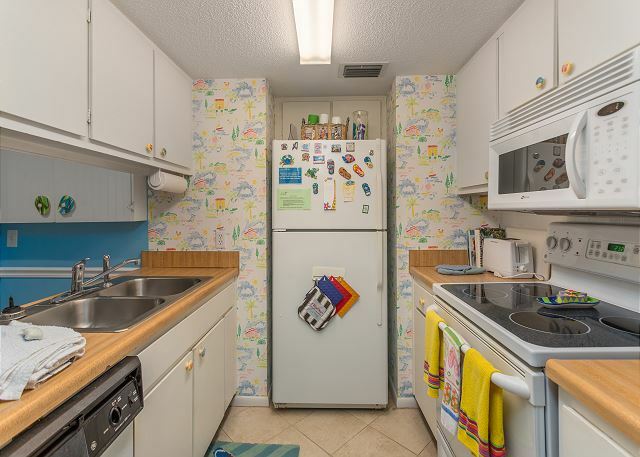 The kitchen glassware and cookware gave the impression that anything the owner didn't want at their home they put in the rental unit. Hindges and sliders for doors were rusted (badly in some cases). Despite these negatives the property was clean and the location was perfect for us. My wife and I spent the weekend here with our 9 yr old grandson, and we all 3 had a great time. 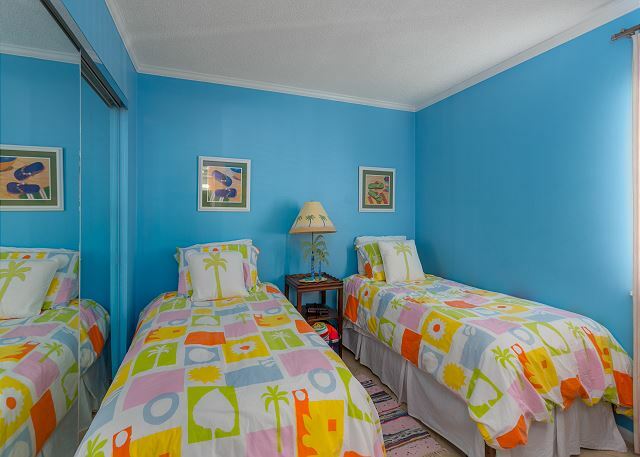 The condo is in a great location, a very short 100 yd walk to the beach. The elevator made access to the unit much easier than the stairs. 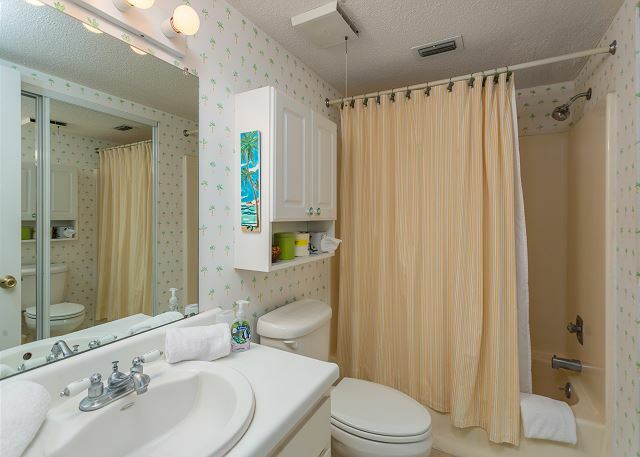 The unit is very well-kept, and it has all the conveniences we have come to expect, including dishwasher. We would certainly recommend this property to anyone. We loved our stay at Shipwatch 204. 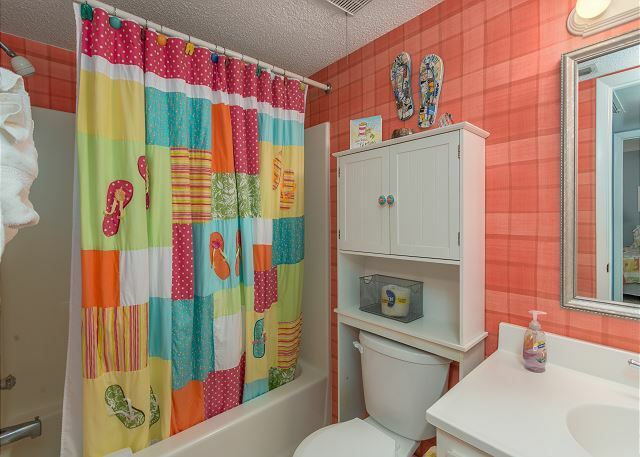 The condo was perfect for our family of three, and the bright colors were fun. The beach access was fantastic and so easy. We also spent a lot of time at the pool, which was very clean and well kept. We would definitely return in the future. We love staying at Shipwatch for our annual vacation. 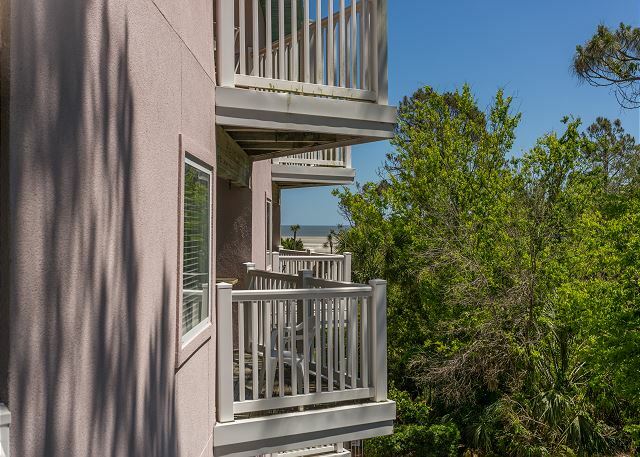 Easy beach accessibility and a stone's throw from the Pier and SSI dining. We had a wonderful stay at Shipwatch. The location was wonderful and right on the beach. Everyone we met was super nice. It was clean and comfortable. The only negative thing I never say is we had no wifi. It wasn't a big deal to the adults but it was to the children. I love this location! It is quiet and tucked away on the east beach. The best part is the easy beach access. Yet, it's not too far from the Pier and all of the awesome restaurants. Our condo was very nice and we were very happy the location. There was easy access to the beach and wit in short distance of great places to eat. We will definitely return. 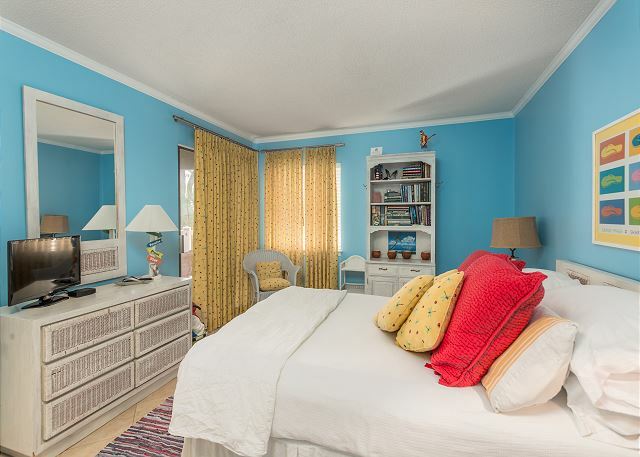 This condo was clean, colorful and inviting. We enjoyed the pool nd the beach. The location is close to places to eat and visit. We will definitely be staying here again! 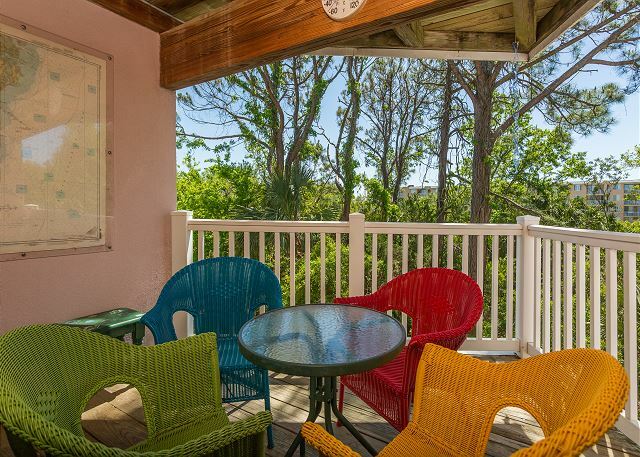 We stayed at this cute condo for four nights, and it was the perfect getaway. 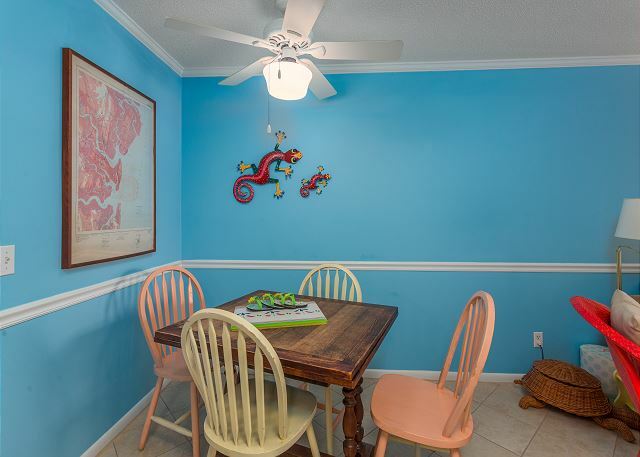 The location and layout of the condo was perfect. 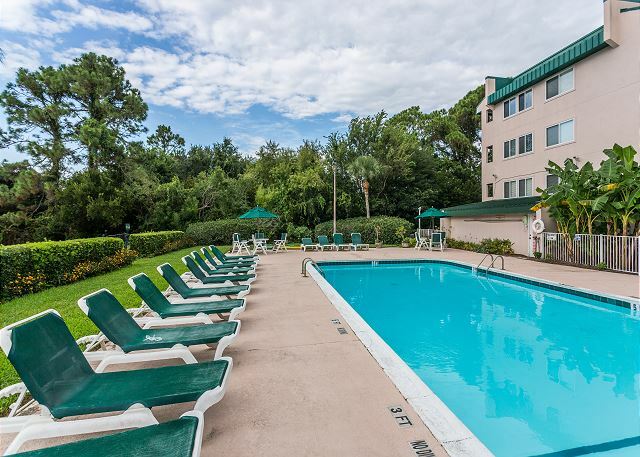 We rented this unit from Jan - Feb 2016. We were happy with the location and the general condition of the unit but we will not be renting this unit again next year. The noise from the unit above us on the 3rd floor was horrific. Cameron Bradley was very professional and helpful with our arrangements. The condo was beautiful, clean and well-equipped. Real Escapes was very accommodating and helpful. They made the reservation, check in and check out process super easy. I will definitely be using Real Escapes again. We enjoyed our stay at Shipwatch 204. This dishwasher does not work well at all, it needs to be replaced and everything in the kitchen seemed dirty. Other than that we enjoyed it. Fantastic! Very clean! Great pool! Great beach access! My family and I try to visit Saint Simons Island at least twice a year....been doing this for nine or ten years now! This was our first time staying at the Shipwatch condos. We were very pleased! 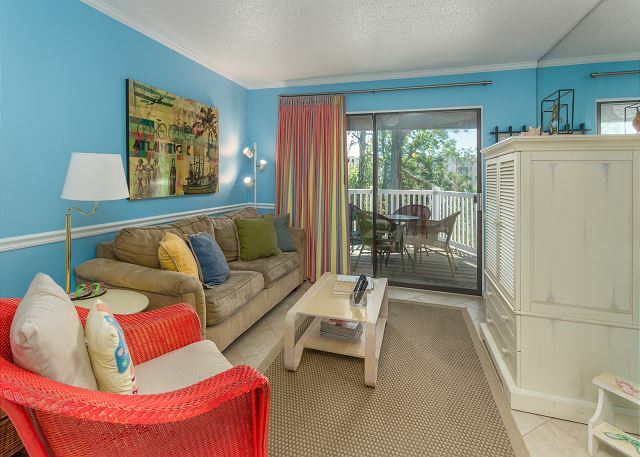 Our condo was perfect...super clean, had everything we could've possibly needed and more, and ideal location! We look forward to staying here again very soon! Wonderful! Jan from Real Escapes was so friendly and helpful.